of a vee-engine to fire forwards through the hollow propeller hub. There is some confusion about identification of the gun and ammunition; most sources list the gun as a Puteaux but there were in fact two guns; the first was developed from the Modele 1885 naval gun and was a single-shot weapon fitted with a smooth-bore barrel to fire shotshells (canister). 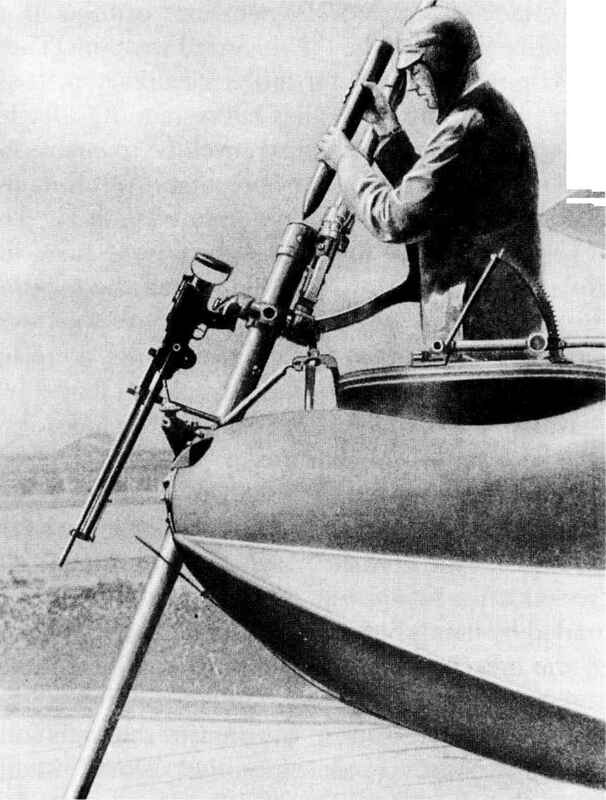 The other was the SAMC which featured a five-round vertical feed ammunition hopper and had a conventional rifled barrel for firing HE shells. Both weapons were chambered for the usual 37 X 94R cartridge and were manually loaded. The SPAD S.XII fighter planes armed with these weapons first emerged in July 1917 and were employed with some success by the French aces Guynemer and Fonck. However, they were not generally popular because of the cumbersome manual loading. Automatic 37mm guns, featuring a long-recoil mechanism and a five-round hopper feed, were being tested at the end of the war but did not see service. All the service weapons described so far were manually loaded. Only four fully automatic cannon appear to have seen service during the First World period in 1917, primarily in the anti-Zeppelin role. War. 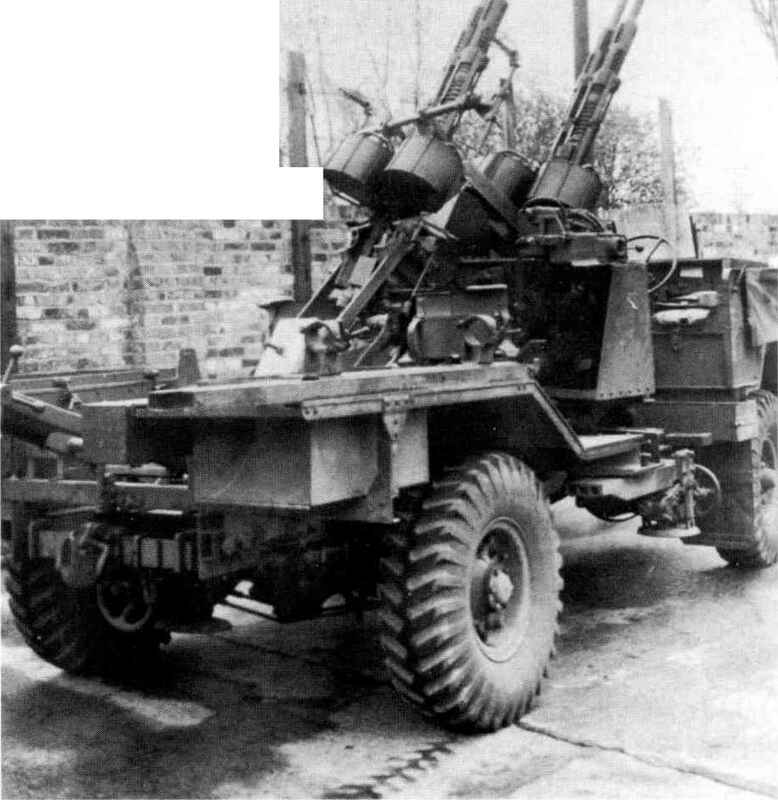 Two were British (the 37mm Vickers lpdr Mk The nickname apparently resulted from a particu- III and 1 l/2pdr COW gun), one was Italian (the larly vivid tracer or incendiary projectile. The problem of coping with the weight and 20mm Becker). In addition, some use was made of heavy machine guns firing large-calibre rifle ammunition, such as the 11mm Gras. This was the French 11 X 59R cartridge for the obsolete Gras rifle but 2pdr (40mm) and 12pdr (76mm) versions were (albeit with a far more powerful loading) for the also tried, for both anti-ship and anti-Zeppelin pur- Vickers machine gun, which was adapted to fire it. poses. As they relied on the rearwards propulsion of The reason for this apparently retrograde step was lead shot to counteract the recoil impulse of the that the large projectile was able to contain a much shell, the mounting of these guns required some greater volume of incendiary material than the care. In practice, the tail blast was so severe that it usual .303" ammunition, which made it particularly was difficult to avoid damage to the fragile structure useful against artillery observation balloons. British of the aircraft. They were also very slow and awkward to reload. Much more significant to the future applications of cannon were the French 37mm installations experiments with 11mm Desvignes incendiary ammunition showed a higher success rate than was achieved with the .303" Buckingham ammunition, but the gun recoiled heavily and was not popular.